GO Public Schools Oakland engages with educators to build your insight, build your network of teacher leaders, and impact your craft and our district. Oakland educators deserve our help in ensuring that they have the support, teams, and development they need to teach and stay in Oakland. That’s why we build and maintain a network of teacher leaders that influence policy, practice, and culture within their school sites, union, and school district — all in service of our students. 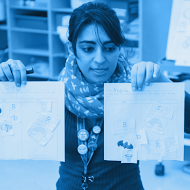 Here is a compilation of educator resources. Stay connected with your fellow educators and stay on top of education policy news in Oakland. Contact Marc Tafolla at mtafolla@gopublicschools.org to find out how.